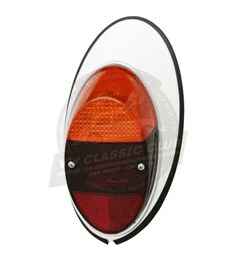 Complete rear light assembly with amber clear and red lens for the left side. 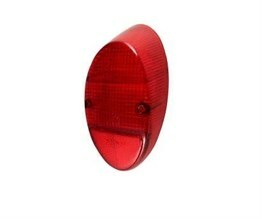 Complete rear light assembly with amber clear and red lens for the right side. Compatible With Models in 1955-1967. Rear light lens chrome trim. Complete rear light assembly with orange and red lens. Rear light to wing seal. Supplied in pairs. Complete rear light assembly for the right side. Complete rear light assembly for the left side.